The toys inspire us to the search of the special places for outdoor pictures and creation of our own micro worlds. Would you like to make a shot of lightning without looking through the window? Is it possible to shoot a jellyfish without water and light? That’s what we are going to do! This lightning is made without any effect, light painting or digital collage. 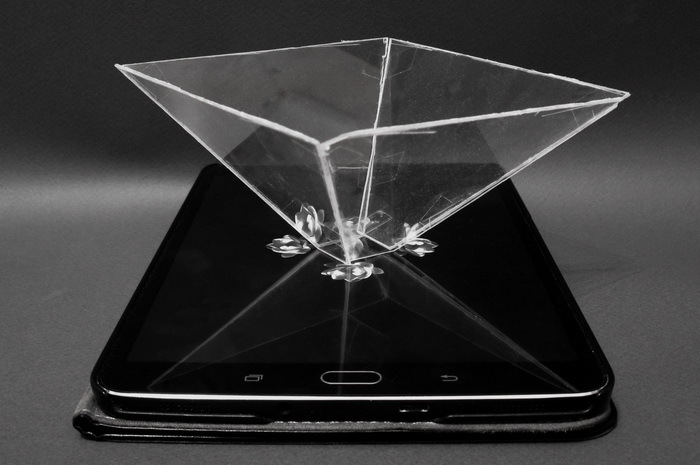 This is a hologram made with the help of plastic and smartphone. 🙂 After watching several great YouTube tutorials I tried to make a hologram and really enjoyed the result. First of all, we have to draw a small rhombus on the graph paper. Then we use this template to cut out 4 rhombus shapes with the plastic from the CD case. Tape all the plastic shapes together, place this projector over your smartphone and turn on one of special videos. 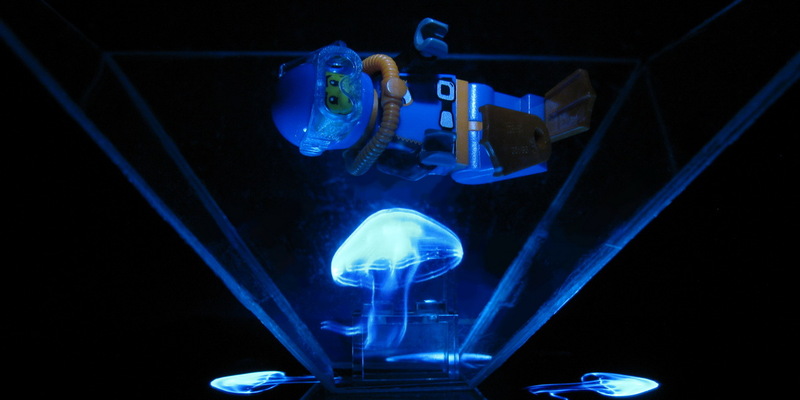 Using the hologram projector, you can shoot your characters with deep-sea creatures or butterflies. 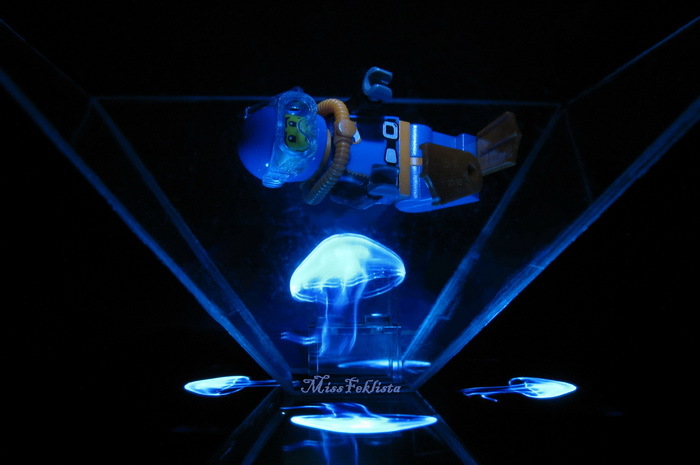 These optical ghosts are perfect for such themes as “Robotic science” or “Alien adventures”. 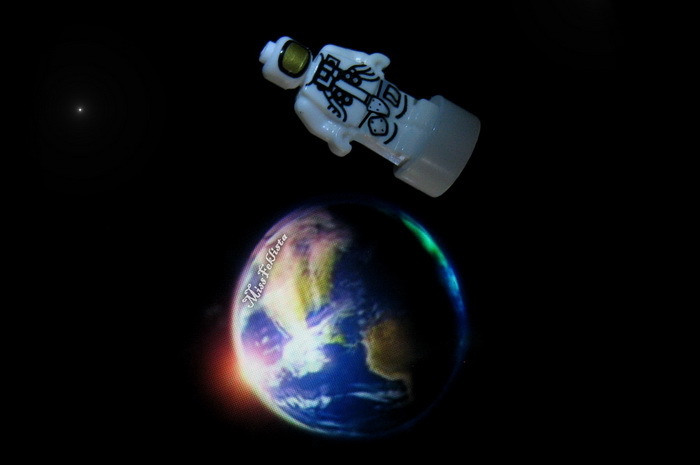 I chose the “Nature” and “Space” videos and was glad to see that this hologram looked realistic with mini- and micro figures. As you can see, all the elements of the video are moving and you can play with different phases of the moon, jumping animals and growing flowers. Do you enjoy exploring the Toy Photographers’ creative world? Subscribe to our weekly email round up so that you never miss a post. You can continue the conversation in our communities on MeWe and Flickr. This is a really interesting post Ann, thanks for sharing what i think was a huge amount of time spent in research and experimentation! Thank you very much, Lynn! 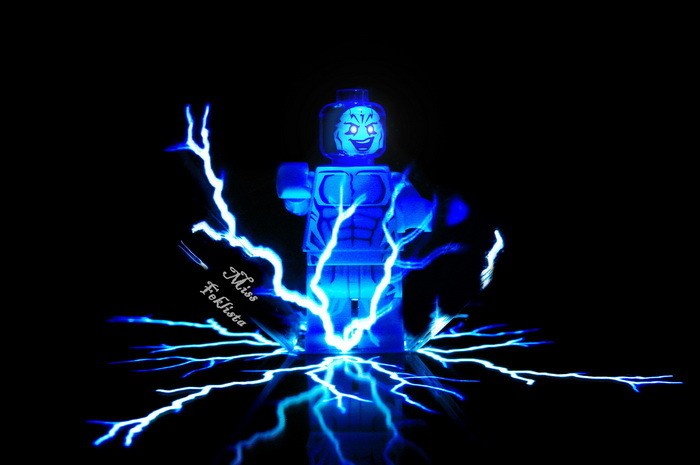 This hologram really gives so many possibilities for minifigures! I’m sure you will have much fun when you create yours. 🙂 Glad you liked the idea! Neat technique! Thanks for sharing!! Especially like that last one with everyone looking at the hologram. Thank you very much for your kind words, Sunny! 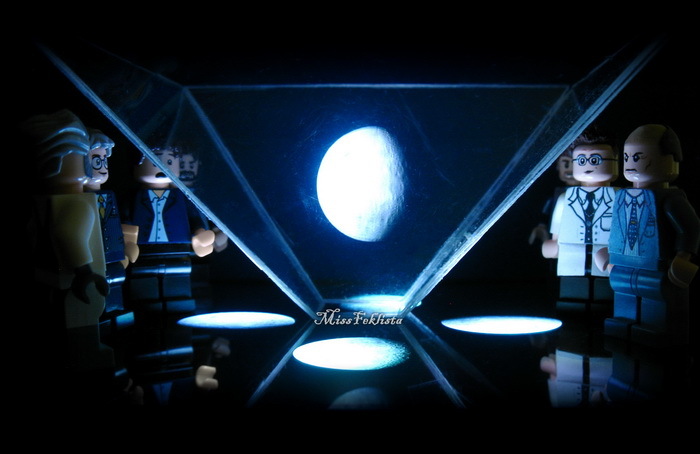 Yes, my minifigures are impressed with holographic moon. 😉 It was very interesting to use these effects in the photos and I’m glad you liked this technique too. Gasp!! My mind is totally blown! Who woulda thought!! This is amazing! Very cool technique Ann! I do wonder if it can be enlarged to be used on an iPad which would work for larger figures or larger scenes. That would be very interesting.